Select the suite that best fits the aesthetic of your wedding (4 piece or 2 piece) and the options that you want to order. This would include the quantities, type of paper, type of printing, printing color, envelope color, and the calligraphy style. Select the other parts of the invitation suite that you would require for your invitations. Add any add-on's calligraphy addressing, wax seals, etc. Complete the purchase. We will then contact you in a few business days to request the content for the invitations. Once the content is received, we will send you a design proof within 7 business days. There is one minor revision round included, conditions apply. Any additional changes will incur an additional cost, please see details in our FAQ and our Terms and Conditions. After the proof has been approved, we will send the invitations to print. Typically the invitations take 3-4 weeks for printing and additional 1-2 weeks for calligraphy and assembly, conditions apply. Then, they will be mailed to you afterwards. High quality inkjet printing that uses ink to print onto paper. This type of printing is only available on our 100lb cardstock paper, in ivory and other light colored paper. Any dark paper such as dark gray and black will not be able to show any printing. With this printing method, we are unable to print white or metallic colors. For example, if gold and digital printing is chosen, it would be a yellow ochre color, instead of a metallic gold color. When this option is selected, the return address printing and reply address printing on the envelopes will also be in digital printing. A type of relief printing that produces a debossed impression of the design onto the paper, allowing you to feel the letters and illustrations on the paper. Letterpress uses ink as well, and is not great at white or metallic colors. Any dark paper such as dark gray and black will not be able to show any printing. This method is available on our 100lb cardstock, 220lb cotton paper, and handmade paper. When this option is selected, the return address printing and the reply address printing on the envelopes will also be in letterpress printing. A type of relief printing, similar to letterpress, but this method uses foil, which is perfect for metallic colors, and also for printing on darker paper as it is able to print white. This type of printing is available on our 100lb cardstock, 220lb cotton paper, or our handmade paper. When this option is selected, the return address printing and reply address printing on the envelopes will also be in foil printing. 100lb Cardstock Paper: Typically comes in soft white with an eggshell finish. This is the same paper stock we use for colored paper. 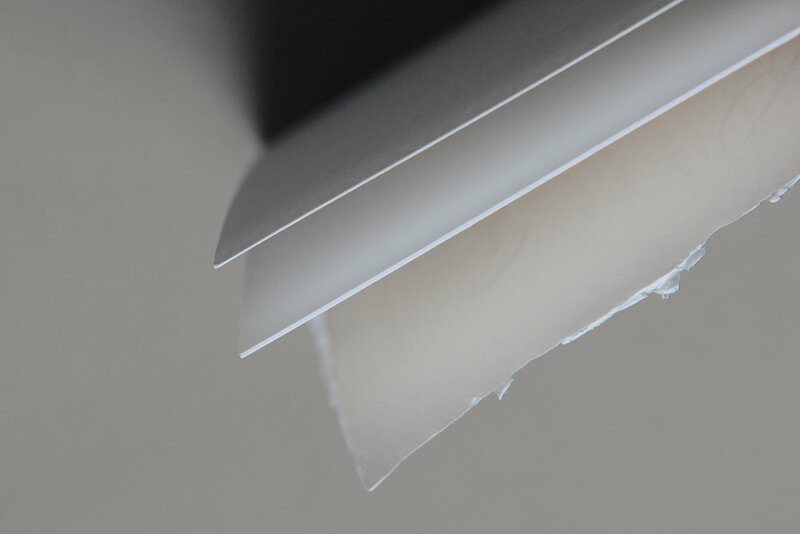 For colored paper, we can also upgrade to duplex this paper to become thicker. 220lb Cotton Paper: This thick soft white cotton paper has a soft eggshell finish. Typically used for letterpress printing and foil printing. 90lb Handmade Paper. This paper is more cream than the cardstock and the cotton paper. It has a textured finish and edge that differs from paper to paper as it is handmade. It can be used for letterpress and foil printing. The picture below shows the paper options from top to bottom. Cardstock, Cotton Paper, Handmade Paper. You may select from one of these colors, or please contact us for different ones.